April 6th, 2016 | News and Events. 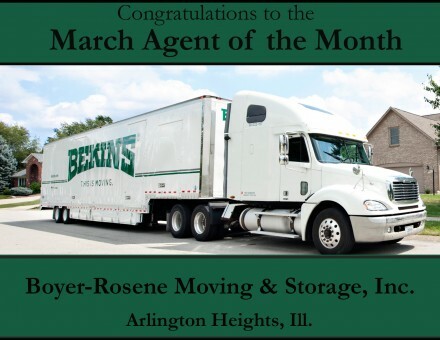 ARLINGTON HEIGHTS, Ill. – Boyer-Rosene Moving & Storage, Inc. is Bekins Van Lines’ Agent of the Month for March 2016. The award is given to the interstate agent for Bekins Van Lines that exemplifies founders John and Martin Bekins’ philosophy of putting customers first and the characteristics of quality, professionalism, empathy for customers, fellow agents, drivers and Bekins employees. Since 1962, Boyer-Rosene has served the Chicagoland area with customer first ideals, and can be a single source for all of its customers’ relocation needs. The company handles all aspects of relocation from packing, loading, and transportation of household goods for individual residents and their families – both locally and long distance – to corporate relocation of employees for large corporations. Boyer-Rosene also does a robust commercial business relocating businesses and their office equipment as well as furniture, fixtures, and equipment for a variety of industries. Boyer-Rosene is well known throughout the area for their outstanding customer service. Boyer-Rosene maintains an A+ rating with the Better Business Bureau, has earned the distinction of ProMover with the American Moving & Storage Association, and has earned numerous quality, sales, and hauling awards throughout the years from Bekins Van Lines since becoming an agent in 1986. Boyer-Rosene is a member of Bolingbrook Chamber of Commerce, Illinois Movers’ and Warehousemen’s Association, Building Owners and Managers Association of Chicago and International Facility Management Association. Boyer-Rosene operates from a 54,000 square feet of warehouse space located at 2638 Clearbrook Dr., Arlington Heights, IL 60005. 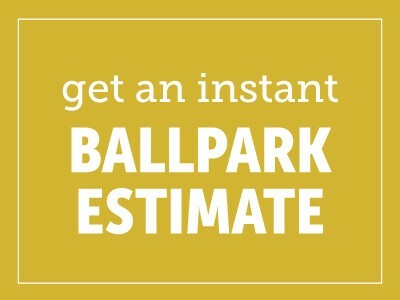 They can be reached at (847) 416-2059, (888) 973-0146, or online at www.boyer-rosene.com.